AMD App Acceleration5 - Speed up everyday applications with the power of more graphics cores and AMD App Acceleration. 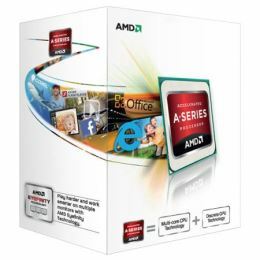 AMD Internet Acceleration - Get your browsing done quickly with Web sites that load fast with AMD Internet Acceleration. AMD Perfect Picture HD9 - Images jump off the page and burst into life in vivid color with enhanced resolution and contrast of AMD Perfect Picture HD.